It’s the last week and your final chance to see Viking: Rediscover the Legend at The Atkinson. The exhibition ends and is about to sets sail leaving The Atkinson and the North West behind. Over 15,000 people have seen the touring exhibition to date which includes star objects from the British Museum and key pieces from the Yorkshire Museum’s world-class collections interpreted in new ways to give a fresh perspective on how Vikings shaped every aspect of life in Britain. The Vale of York Viking Hoard, Cuerdale Hoard and the Bedale Hoard are just some of the incredible artefacts that can be seen. As well as learning about the ground-breaking research undertaken by archaeologists alongside new discoveries by metal-detectorists which will challenge our perceptions of what it means to be Viking. The Atkinson is celebrating the success of the exhibition with additional events programmed on the last day – July 7. The Tale of Ragnarök – the end of the Vikings, 11am, 12pm, 1pm & 2pm FREE with Tony Higginson. Adventure Treasure Hunt 11–3pm. Join in and help a Viking who has lost his hoard? Take part in an adventurous Treasure hunt around the building looking for his lost coins. Meet Hild the wise woman 11–3pm. Hild will tell you about the weird and wonderful cures for illness in Viking times, some of which would have worked, and some of which you really don’t want to try! Book your tickets online at theatkinson.co.uk at box office on 01704 533333 or at the counter. 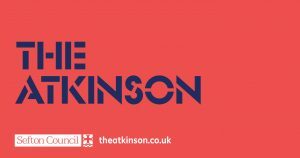 Visit the website theatkinson.co.uk and join our mailing list to keep up to date with the full programme of events, exhibitions and activities coming to the venue soon.